I learned a long time ago, as a development professional, that having a great case for support is nearly meaningless unless you also develop compelling messaging. Later, when attending the Association of Fundraising Professionals Faculty Training Academy, the workshop leader made this same point in the context of making presentations. The AFP/FTA takes good speakers and turns them into the best. Unfortunately, a great many nonprofit organizations continue to send the same dull, institutional-focused direct mail that prospects easily bypass in the paper shuffle. Charities continue to make uninspiring calls, publish informative articles few read, run ads that donors will only glance at and soon forget. G iven the pressures we face in our daily lives and the enormous demands on our time, I understand first-hand how simple it can be to take the easy way. Knowing the content of our message is important, we’re sometimes lulled into the belief that that is enough to make the message compelling. Well, it’s usually not. It’s not just what you say, but how you say it that counts. Let’s step away from the nonprofit sector for an example that will make what I’m suggesting crystal clear. My wife and I are foodies. We live in Philadelphia, a fantastic restaurant city. We’re choosey about where we eat. And we’re even pickier about which restaurant email lists we subscribe to. However, like I said, we’re foodies. So, we’ve ended up on a lot of restaurant email lists, though just the good ones. With due respect to our current cheese menu, variety is the spice of life. We’re introducing a brand new list of summer fromage that we’re excited to brag about share with you. Out with the old list, in with the new. Starting today, we’ll be replacing every single cheese on our menu with a new alternate for the summer. 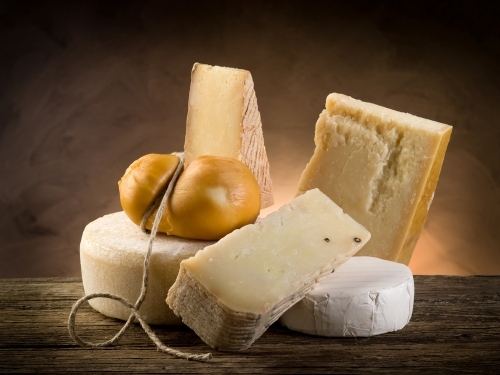 No, we aren’t throwing out tons of delicious cheese (the horror!) from our current list – as one is finished, a new one will take over the former’s place on the menu. Pop by and scout out the arrival of a new ultra-creamy Crottin-style cheese from Georgia, a funky thistle-rennet cheese from Spain that redefines luscious, the best cheddar in the world, and much much more. We promise drool-worthy images on our Twitter and Instagram feeds as the curds switch up. You can see the full message here. Tria used humor to capture our attention, and great descriptions that engaged our senses to hold on to our attention. The message also gave us important information about the new offering including when and where we can find it. Both messages impart the same basic information and address the what, when, where questions. However, there is no doubt that the original message is far more engaging and, therefore, far more effective. Philanthropic giving in the USA increased for the third straight year in 2012, but only modestly. Overall giving in 2012 totaled $316.23 billion, an increase in current dollars of 3.5 percent over 2011. Adjusted for inflation, the increase is just 1.5 percent. That’s the finding presented in Giving USA 2013, the report researched and written by the Indiana University Lilly Family School of Philanthropy and just released by the Giving USA Foundation™. Click the photo to get a free copy of Giving USA Highlights. I had a chance to sit down and talk with Dr. Patrick M. Rooney, Associate Dean for Academic Affairs and Research at the Lilly Family School of Philanthropy. He asserts that, at current growth rates, it would take at least six years for a return to pre-recession giving when adjusted for inflation. He anticipates growth will indeed continue to be slow since the overall economic recovery is slow. For more than half-a-century, giving has hovered at two percent of Gross Domestic Product. When GDP grows strongly, giving is robust. When GDP growth is sluggish, so is philanthropy. With many economists predicting 2013 GDP growth of just 1.9 percent, Rooney’s prediction seems entirely reasonable. –2012 saw marked year-over-year growth in corporate giving (12.2 percent in current dollars), which is strongly linked to companies’ profits. For 2012, corporate pre-tax profits surged upward 16.6 percent, according to the Bureau of Economic Analysis. –Uncertainty fueled by mixed economic indicators may have moderated giving by individuals, who historically account for the largest percentage of total giving. Positive trends, such as the 13.4 percent increase in the Standard and Poor’s 500 Index between 2011 and 2012, the slight rise in home values, and overall lower unemployment rates and fuel costs, were combined with budget concerns and tax reform discussions. In addition, personal disposable income rose 3.3 percent and personal consumption expenditures rose 3.6 percent last year, virtually mirroring the growth in individual giving (3.9 percent in current dollars). –Giving by individuals rose to $228.93 billion in 2012, an estimated 3.9 percent increase (1.9 percent adjusted for inflation). Income and wealth are key drivers of household giving, as is a sense of financial security. Giving by taxpayers who itemize their gifts represented 81 percent of the total donated by individuals in 2012. –Giving by bequest decreased an estimated 7.0 percent in 2012 (8.9 percent adjusted for inflation) to $23.41 billion. Itemizing estates contributed 78 percent of the total, or $18.31 billion. Bequest giving tends to be volatile from year to year, as it is highly influenced by very large gifts from estates that closed during that year. For example, Rooney explains that if we remove one exceptionally large bequest from the 2011 numbers, we find that bequest giving was close to the same in 2012 and 2011 when adjusted for inflation. So, the big dip in 2012 should not set off alarm bells. With real estate values and stock portfolios rebounding, the future for bequest giving is encouraging. –Giving by corporations rose 12.2 percent in 2012 (9.9 percent adjusted for inflation), to an estimated $18.15 billion, including gifts from both corporations and their foundations. The two entities provide cash, in-kind donations and grants. Increasing the 2012 total was the estimated $131 million corporations gave to nonprofits working on relief efforts in the aftermath of Hurricane Sandy. –Giving by foundations increased 4.4 percent (2.3 percent adjusted for inflation) to an estimated $45.74 billion in 2012, according to figures provided by the Foundation Center. Giving by community foundations grew 9.1 percent last year, which helped to bolster the total. Operating and independent foundations increased grant making by 3.5 percent and 3.9 percent, respectively. While stock values increased in 2012, foundations often use a multi-year rolling average when valuing their portfolios. Therefore, as stock values continue to climb, we should see stronger future growth in foundation giving. –Looking at foundation giving, 45 percent comes from family foundations where a member of the family continues to be actively involved in running the foundation. In a sense, these organizations blur the line between foundation and individual giving. Giving by family foundations can often be very relationship driven as with individual giving. A collaboration between the Tampa Bay Times, CNN, and The Center for Investigative Reporting has resulted in a list of “America’s Worst Charities.” In addition to producing a list of the 50 worst charities, the report analyzes the activities of the charities. The report found that $1.4 billion in donations went to the 50 worst charities over the past 10 years. Of that, $970.6 million went to paid solicitors while $380.3 million went to charities. However, a scant $49.1 million went to direct aid. In other words, the investigation found that just 3.5 percent of donations to the 50 worst charities went to services fulfilling charitable mission. Watchdog groups say that no more than 35 percent of donations should go to fundraising expenses. Among the 50 worst charities, 69 percent of donations were spent on professional solicitation companies alone! The report accuses some of the 50 worst charities of lying to donors about how their donations will be used, employing executives who take multiple salaries and/or who are also paid as consultants, contracting with outside fundraising companies owned by friends, family members, or the executives themselves. The report even accuses some of the 50 worst charities of using “accounting tricks” to inflate the value of the charitable work they are doing. When Opportunity Knocks, Open the Door! Most nonprofit organizations attempt to woo donors and prospective supporters in a variety of ways. Wise nonprofit organizations seize the chance to woo donors and prospective supporters in fresh ways when the opportunity presents itself. The challenge is that those opportunities are not always obvious. Sometimes, the wooing of donors and prospects might be an unexpected, happy side-effect of simply seizing the opportunity to do something good. The latter was the case for the Philadelphia Orchestra during its recent 40th anniversary residency and tour of China. The Orchestra was the United States’ first cultural ambassador to China in 1973. During the anniversary trip, the Orchestra performed in venues ranging from acclaimed concert halls to elementary schools. In addition to its own performance schedule, the Philadelphia Orchestra performed in joint concerts with local orchestras. Besides performing, the Orchestra also participated in a number of coaching sessions. The Orchestra’s anniversary trip generated positive publicity in Philadelphia and rave reviews in China. The Orchestra’s journey was a source of pride for Philadelphia’s classical music fans, myself included, who saw the organization emerge from Chapter 11 bankruptcy protection less than a year ago. However, as you might expect, not everything on the trip went according to plan. Toward the end of the tour, a group of musicians and administrators took an early-bird flight from Beijing to Macau. Unfortunately, bad weather trapped the plane on the tarmac for several hours. Click to watch video of Philadelphia Orchestra pop-up concert on airplane in China. You can hear Juliette Kang on violin, Daniel Han on violin, Che-Hung Chen on viola, and Yumi Kendall on cello by streaming the video here. As you can hear from the applause and cheers, the passengers on the plane greatly appreciated the surprise mini-concert. The Orchestra had done a good deed by spreading a bit of joy at an uncomfortable time. If that were all that the musicians achieved, it would have been enough. However, the Orchestra ended up unexpectedly achieving far more. With so many smart-phones on board, it was inevitable that videos would be posted on the Internet. The Philadelphia Inquirer reported on the event. But, the publicity reached far further. NPR, The Huffington Post, and other media picked up the story. Moreover, as of this posting, nearly two million people from around the world have watched the videos! Fidelity Charitable, an independent public charity that sponsors the largest Donor-Advised Fund program in the US, has issued a new report, Fidelity Charitable Giving Report 2013: A Look at Fidelity Charitable Donors, Who They Are and How They Give. The report provides fundraising professionals with insights that can help them better tap into the DAFs of their supporters and potential supporters. Fidelity Charitable has over 94,000 donors connected to more than 57,000 giving accounts. The average age when a donor establishes a DAF at Fidelity Charitable is 54. The median Fidelity Charitable giving account balance is $14,450. Nearly 40 percent of Fidelity Charitable donors have maintained a giving account for more than 10 years. Over 54 percent of contributions to Fidelity Charitable giving accounts were in the form of public or private securities in 2012. The average number of grants from Fidelity Charitable giving accounts numbered just over seven in 2012. The average grant from a Fidelity Charitable giving account was nearly $3,800 in 2012. Last week, I presented eight planned giving myths that were identified and debunked by fellow fundraising professionals from the Smart Planned Giving Marketers Group on LinkedIn. This week, I’m presenting the seven additional myths I promised along with a bonus myth. Continuing to embrace planned giving myths can be harmful. Doing so will make you less helpful to your donors, less able to raise money, and less able to realize your career aspirations. That’s why I felt it important to identify and debunk some common gift planning myths. 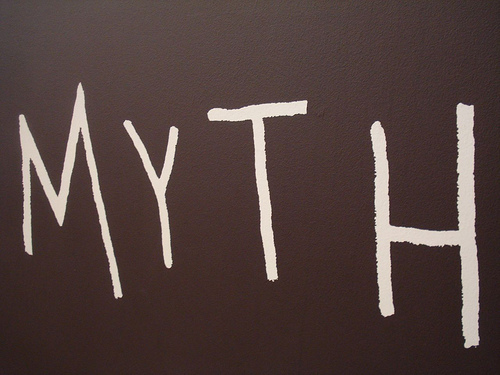 MYTH 9 — Planned giving is very difficult. Gift planning can certainly be challenging, However, for the most part, it involves fairly simple gifts: Bequests, CGAs, appreciated property (i.e. : stock). MYTH 10 — One needs to be a planned giving expert to be involved in gift planning. Nope. While it would be helpful to be a planned giving expert, it’s not necessary. The vast majority of planned gifts will come from Bequests. CGAs and appreciated property are two other simple, popular types of planned gifts. 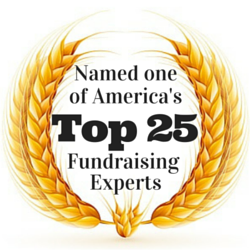 You don’t need to be an overall planned giving expert to master those planned giving vehicles. However, you should be familiar with other gift planning options and know who to call for assistance when a donor wants to talk about those other options. MYTH 11 — All planned gifts are deferred. No, they’re not. For example, a gift of appreciated stock is a current gift. Even with a deferred gift such as a Bequest, depending on the age of the donor, you might not need to wait all that long for the gift to be realized. MYTH 12 — Good marketing focuses on organizational needs. Nope. 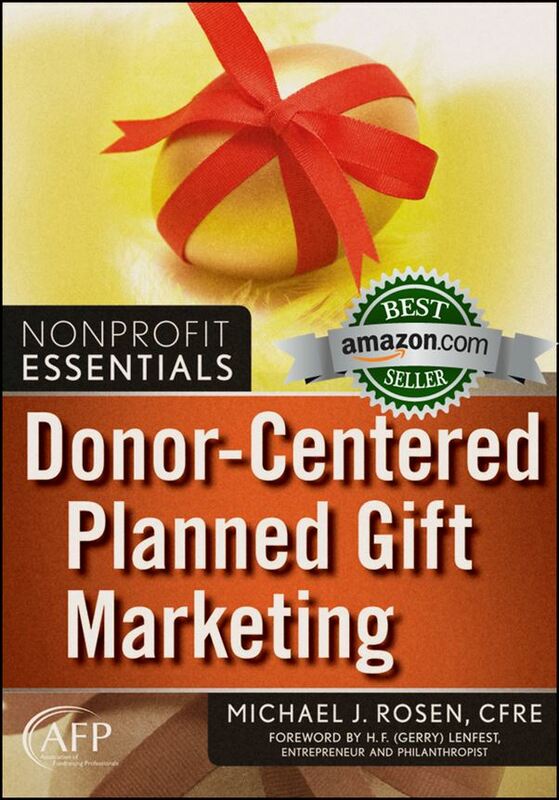 Good marketing actually involves being donor centered. MYTH 13 — Planned gift marketing should be passive.